Question: What is a fen? Answer: A fen is a type of a wetland that is usually fed by mineral-rich surface water or groundwater. Fen’s water chemistry is pH neutral or alkaline. They are distinguished from bogs which are acidic and low in minerals. Ground water from springs and/or surface water keep fens wet. In the Miami Valley, the ground water contains calcium carbonate from limestone deposits that underlay the soil. This produces an alkaline environment (pH >7) that supports rare and unusual plants. Over time, fens accumulate layers of peat formed by plant material that can only partially decay in the wet environment. 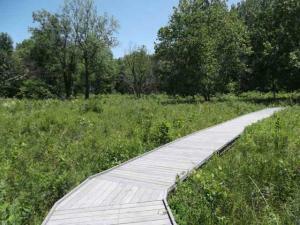 A beautiful example of a restored fen can be seen at the Woodman Conservation Area. 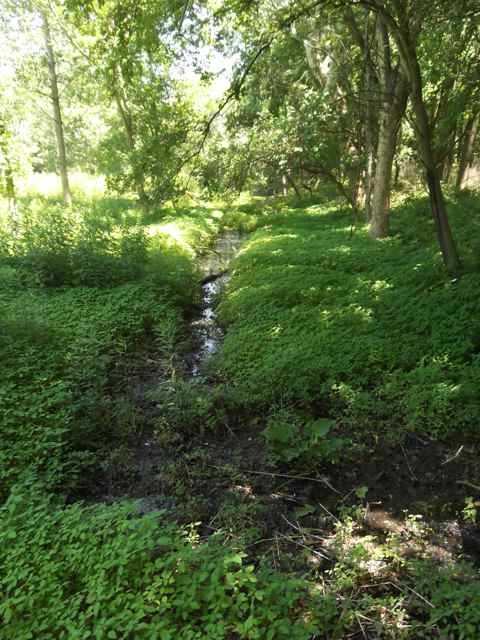 Despite attempts over the years to drain and farm this land, it remained too wet. As you are reading the Entrance Sign you can see some photos of how all kind of honeysuckle and other invasive plants had to be removed. During the spring of 2009, more than 10,000 wetland plants were planted in this Fen. 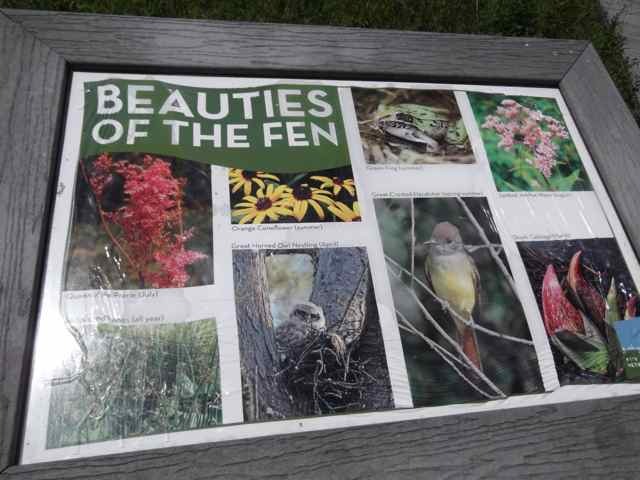 All of the wetland plants here are native species that are unique to fens in southwest Ohio. “The results of these plantings were astonishing. Woodman Fen increased dramatically in its diversity of wetland plant species with only 30 species identified in 2007 to over 100 species currently identified,” Enright says. 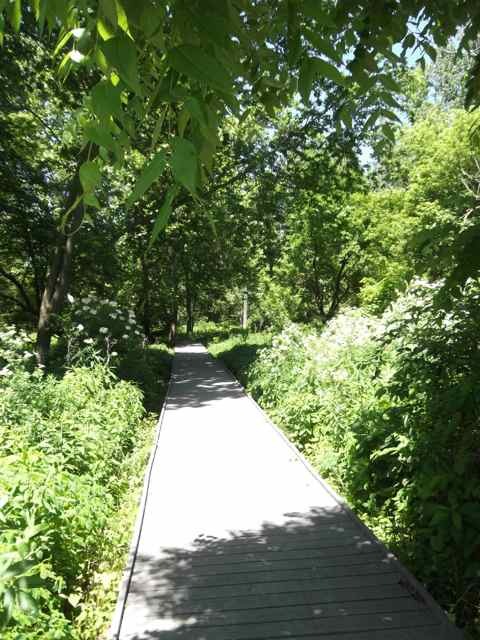 This whole trail is on boardwalks that offer a safe trail surface to experience this rare ecosystem. 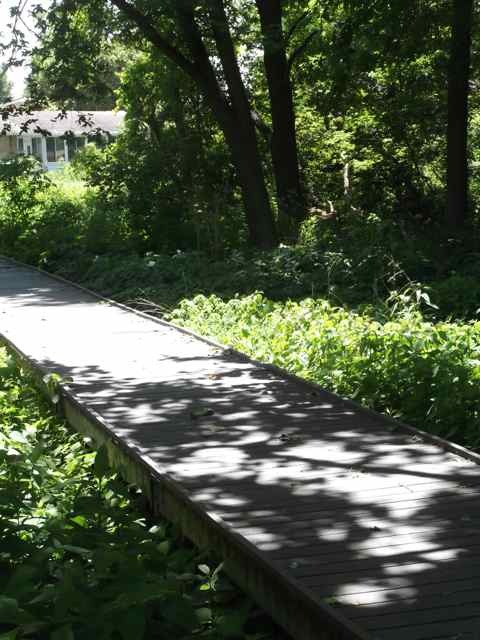 Since the boardwalk complies with the Americans with Disabilities Act, everyone will have the opportunity to experience this rare ecosystem. 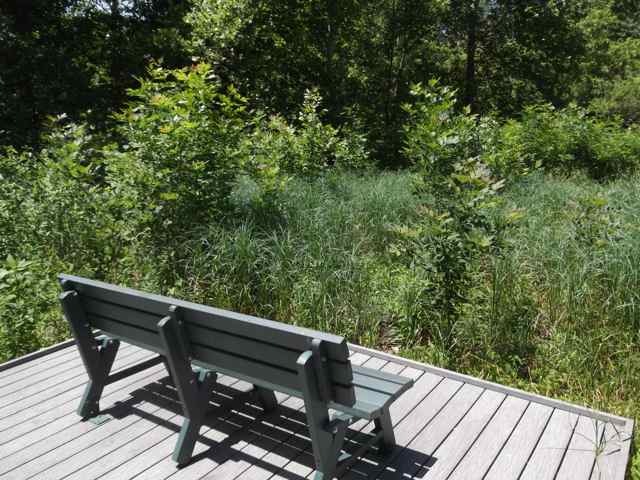 The boardwalk includes three small observation decks to view this stunning wetland. There is a signage system that mark points of interest and provide educational information regarding the plant and animal species that can be observed. As you are walking along you will see many pools and this is where all other kind of animals live. As you are returning and getting closer to where you entered you will see some homes adjacent to this fen. 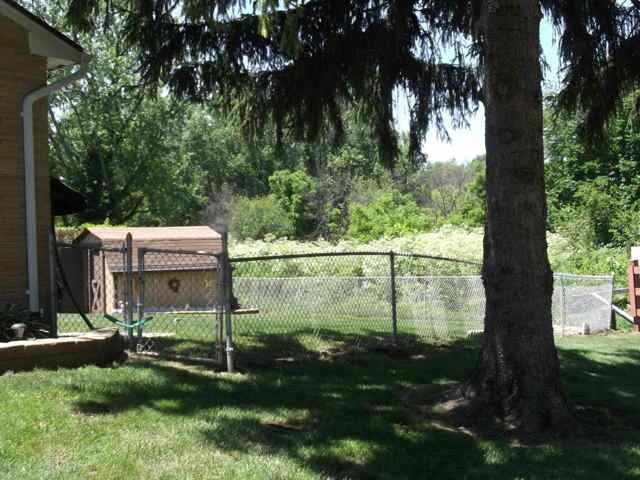 And finally as you are leaving the parking lot you will see several homes who have a fen as their back yard! 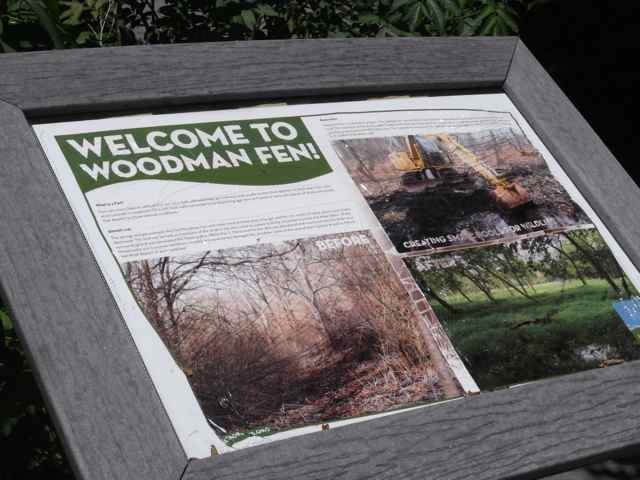 Please Note: The Dayton CVB has compensated me for my thoughts on Woodman Fen.